Fragrances are one of my biggest weaknesses. They're more than just perfumes to coat a sweet-smelling aroma on my body before I head out. To me, they're a representation of who I am, who I want to become, and speaks of my mood for that particular day. Great news to all perfume lovers and Juicy Couture fans, for JC has recently launched a new fragrance that's set to be the new "it" EDT! Introducing Juicy Couture's newest limited edition Eau de Toilette, Juicy Couture Hollywood Royal. This new scent mixes femininity with just the right amount of edge, and aims to inspire girls everywhere to #livefamously. Juicy Couture Hollywood Royal is made to be the center of attention. Inspired by the Hollywood "it" girl- one who struts from one A-list affair to the next, the daughter of a rock & roll icon, and a supermodel, the Hollywood Royal muse only knows life inside the velvet rope. After seeing how gorgeous it looks, you must be wondering what scent the Juicy Couture Hollywood Royal is made of. Simply put, the fragrance spells chic femininity. Opening the fragrance with hints of charming candied apple, juicy pear and pomelo, while in the heart of the fragrance lies jasmine sambac, gardenia Brazil NP and tuberose fleur firnat combined to capture the confident and poised essence of Los Angeles. Cashmere wood, vanilla, marshmallow and soft musks fuse together in the dry down to create the signature scent that defines a Hollywood Royal. With a stylish darling as its muse, the Juicy Couture Hollywood Royal bottle mirrors a life of effortless glamour. Studded with Hollywood Stars, this eye-catching, luxe construction is a must to #livefamously. I had such a fun time photographing this beauty of a bottle because it's simply gorgeous! 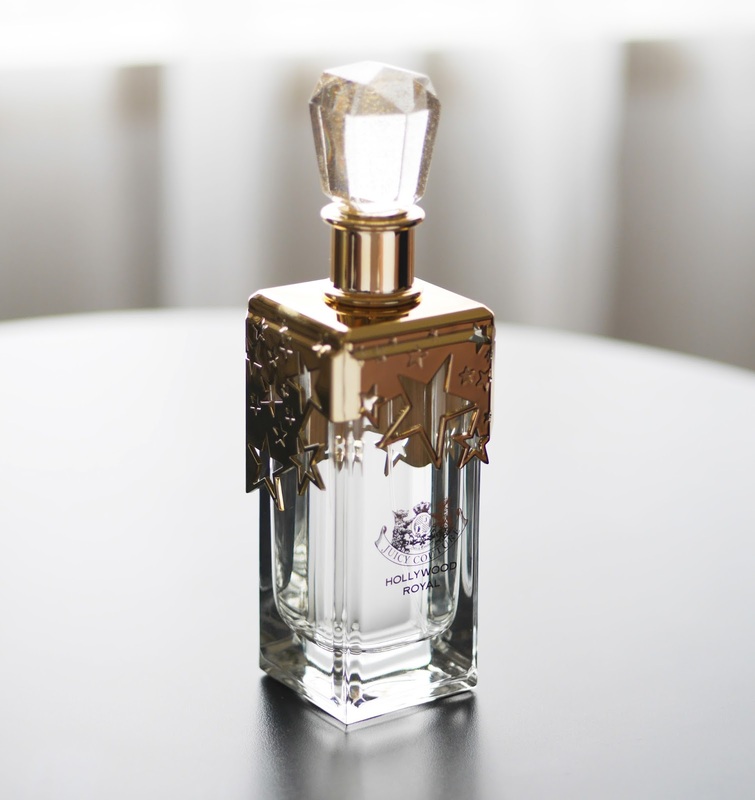 Full-Size Bottle of Juicy Couture Hollywood Royal EDT 150ml worth RM383! Submit a picture of you or your group of friends that perfectly capture what it means to be "living the Hollywood Royalty lifestyle" on your personal Instagram. Complete the sentence "I am a Juicy Couture Hollywood Girl because _________________" in your photo caption. No old picture allowed. Must be a new entry, with no limit to the number of entries submitted by one participant. Tag as many friends in your entry who may want to join in the giveaway! Giveaway contest starts from 10th - 31st August, 2015. - Winner will be selected by Prestige Products (M) Sdn Bhd based on the best picture (with the most number of likes and tags in the photo considered as well). - Winner will be officially announced on my personal Instagram account (@careentxy) after 31st August, 2015. So, stay tuned to my Instagram account for the winner announcement! Have fun submitting your entries and get creative! Can't wait to see all your beautiful photos. This post is filed under: Advertorials, Fashion & Beauty.